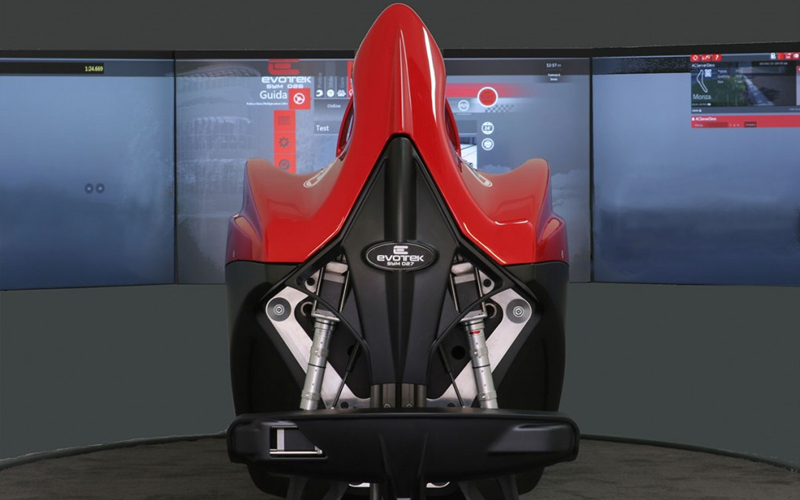 Categories: Complete Simulators, Formula Style. Tags: Evotek, Evotek 027 Simulator. 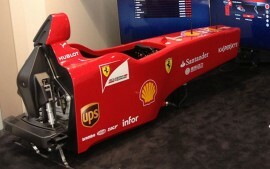 Fiberglass modular chassis with separable “top and bottom”. 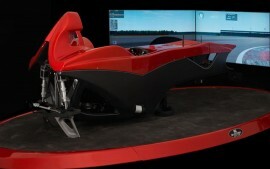 Evotek std programmable steering wheel (or optional: Evotek Club Edition steering wheel). Fiberglass seat (or optional: carbon fiber seat). 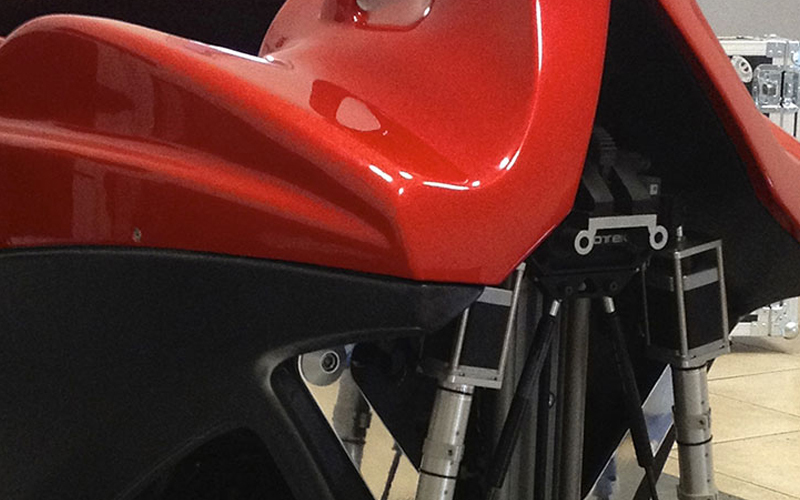 Sym11 version Assetto Corsa Software. Licensed for private and public use. Updated contents and physical features of cars. 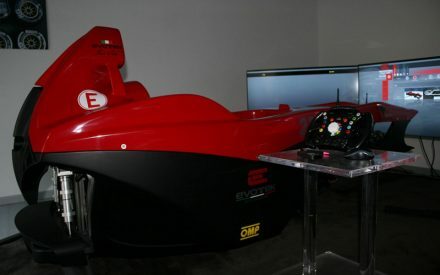 Classical oval simulator base with carpet (or optional: simulator base, with double independent platform, black carpet, and carbon fiber frames). 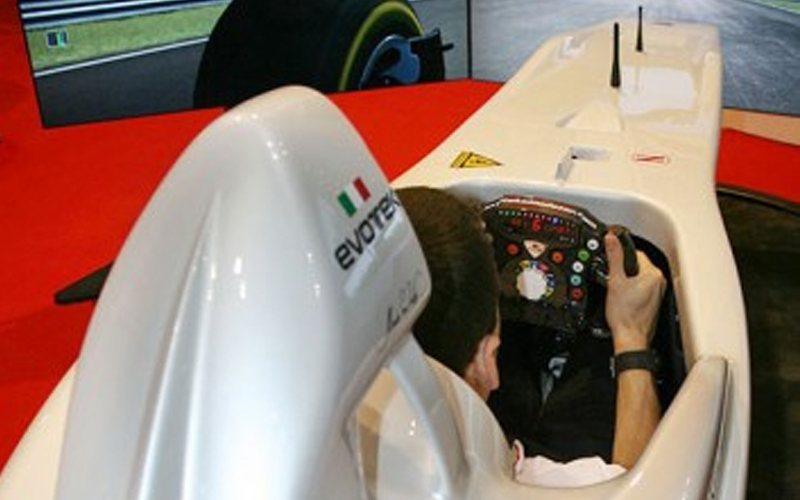 Evotek pedal group with two pedals according to current F1 rules. Direct Drive steering System fully integrated in a sole module.